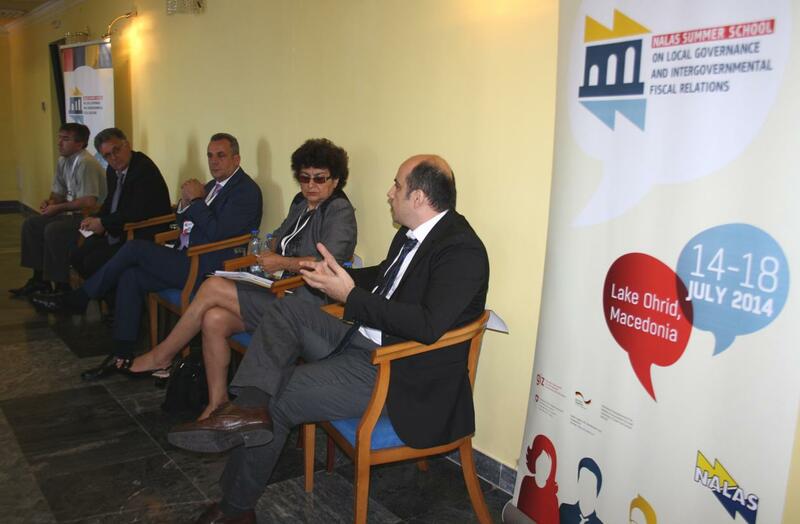 From 15 until 18 July 2014, in Ohrid, Macedonia, NALAS organized one of its most exciting events for 2014, the first Summer School on Local Governance and Intergovernmental Fiscal Relations. Some 30 participants took part in the Summer School and learned how to maintain and use large data sets of municipal revenue and expenditure data to conduct sophisticated analyses of their intergovernmental finance systems. "At this Summer School, we will look at data and the use of data to tell stories that are politically compelling. Numbers alone do not dictate policy. They need to be thought in a larger story", said in the opening lecture Mr.Tony Levitas, one of the instructors of the Summer School. "Making a judgment what numbers mean is more of an art, then a science", said Mr.Levitas, encouraging participants to develop their skills in this direction. The Summer School is also discussing with renowned guest speakers and the leadership of local government associations how intergovernmental fiscal analysis can be used to engage national governments in concrete discussions of reform. "We are happy to have the opportunity to support NALAS members strengthen their capacities in fiscal relations that will help them influence policies for the benefit of SEE local governments", said Mr. Kelmend Zajazi, NALAS Executive Director. The session "Apples, Oranges and Lemons" focused on the logic and inconsistencies of budget classification schemes. If something is encoded, it can't be seen. We have to have a set of codes that distinguish the data we need, concluded participants. In many cases, data availability is also an issue. In Romania, for example, data is decentralized, so most of it stays at a county level. Therefore, it is difficult to get integrated national data. The session "Comparing Apples to Apples" focused on the challenges in comparing data at the SEE level, providing suggestions for possible harmonization of problematic categories for international comparison. Typical problems with the classification of revenues relate to differences in classification of taxes, grant systems, etc. The role of NALAS has been emphasized in supporting LGAs improve their classification systems and help facilitate better regional comparison. 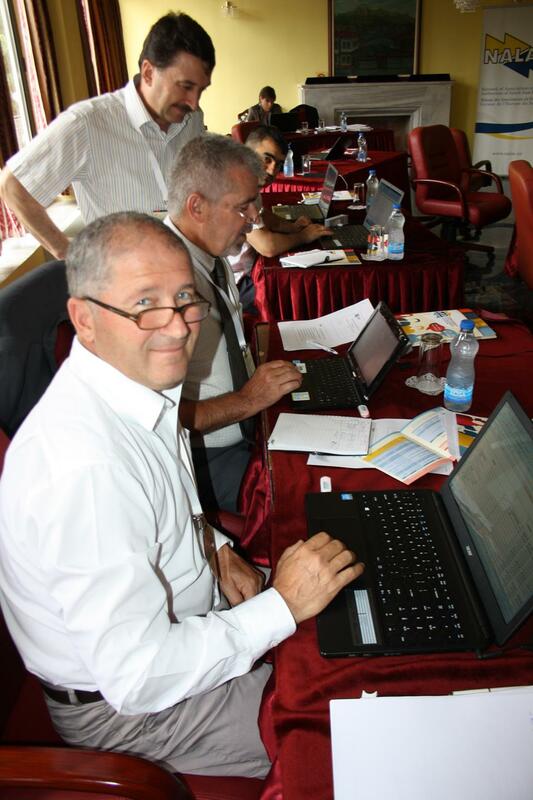 In his session "Finding what you need to know" Dr.Jan Herczynski trained participants how to order, verify and sort large sets of budgetary and statistical data, so that they are easy to comprehend and create a meaning. 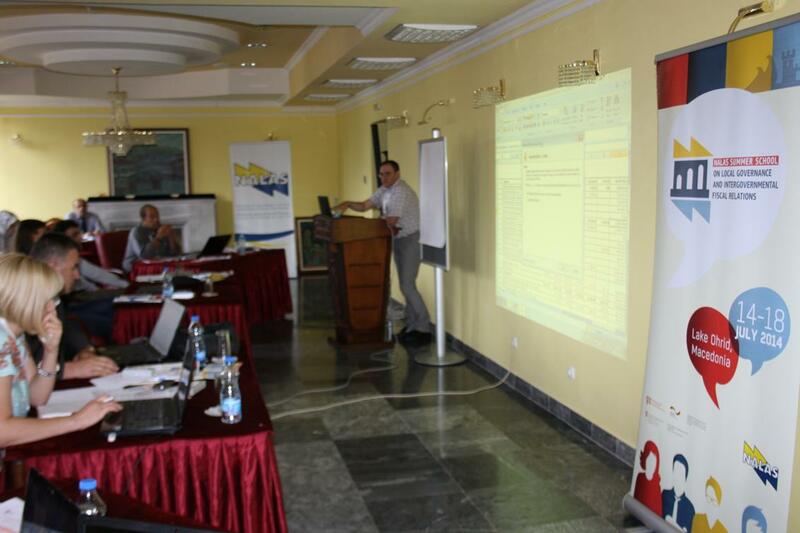 In an individual exercise participants worked on ordering and reordering municipal revenue and expenditure data. Further on, participants learned how to link and sort large data sets to compare local government revenue and expenditure patterns. Also, they were introduced with the use of pivot tables as an organizational tool. 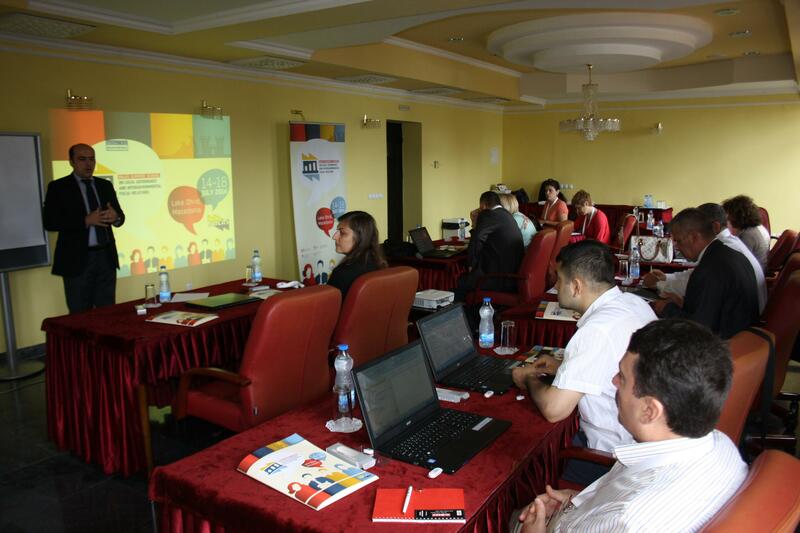 During the second day of the Summer School, discussed were the local government finance indicators, their aggregation levels as well as their use at the national and regional level for measuring financial performance. NALAS fiscal decentralization indicators were pointed out as a great example that provides national and local policy makers and analysts with reliable comparative data on municipal finances and intergovernmental fiscal relations in South-East Europe. The session "Capitals and Quartiles" provided an introduction to the distributional analysis of local government revenues and expenditures. "There is very little data on disparities at the local level, as well as instruments to correct them and how much money is spent on it", emphasized Mr. Tony Levitas. "What is considered acceptable disparity in revenue and expenditure in one country might be unacceptable anywhere. But to consider the question at all, the disparities have to be measured". Therefore, this session focused on all the possible measures that can be used to determine the disparities and create appropriate financial policies to overcome them. In the next session, participants learned how to organize and analyze quartile data in order to understand equalization. They were able to practice the skills gained through individual exercises, using pivot tables, supported by the instructors. The afternoon session focused on framing the problem and formulating policy options for fiscal equalization. Explored were different discourses of decentralization and equalization. The instructors and participants worked on developing arguments for decentralization in ways that create more political space for active equalization policies. The last session of Day 2 of the Summer School on Local Governance and Intergovernmental Fiscal Relations focused on reading municipal budgets for gender bias. Ms. Rozeta Aleksov, Coordinator of the component "Gender Equality at Local Level" at the Standing Conference of Towns and Municipalities in the Republic of Serbia, opened important topics related to roles of men and women in local life and how they reflect in local policies. The session explored the concept of Gender Budgeting. "Revealing people behind the numbers is really important" emphasized Ms. Aleksov. Participants learned how to do gender-sensitive budgeting, considering all the aspects that they need to consider. 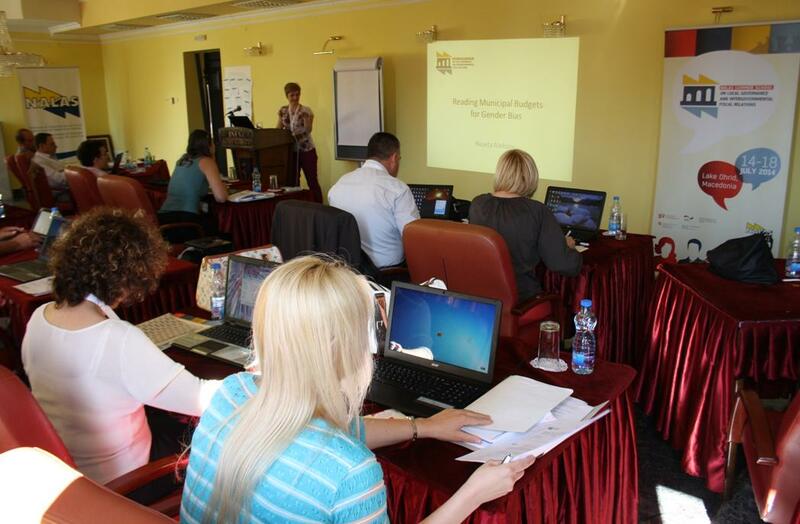 Also, Ms. Aleksov presented the Serbian experiences in gender-sensitive budgeting. 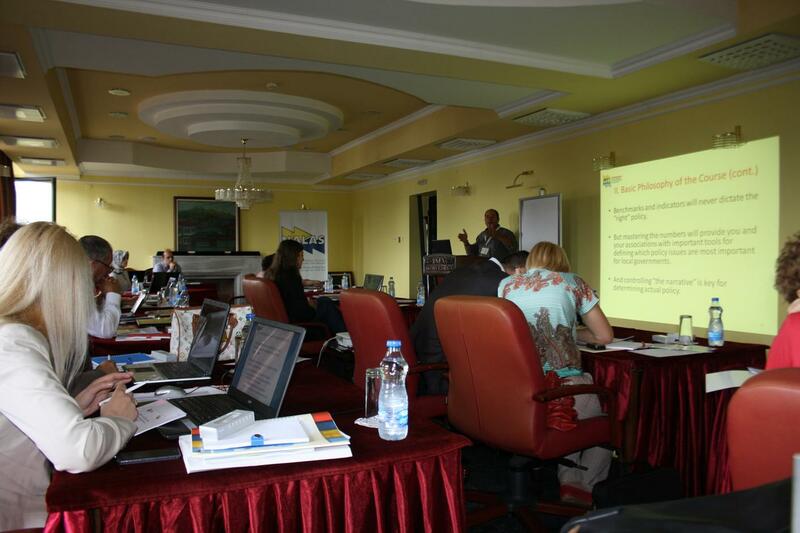 The third day of the Summer School on Local Governance and Intergovernmental Fiscal Relations is a discussion day. Renowned guest speakers from local government associations, Mayors, Deputy Mayors and academics joined the group of Summer School participants to discuss the dilemmas of fiscal equalization as policy and politics. 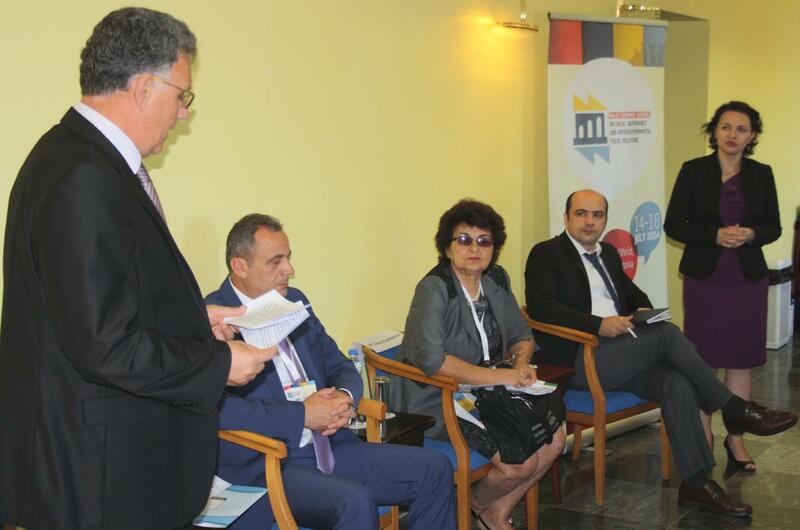 "I was impressed by the intense work during the first two days of the summer school", said in his opening speech Mr. Naim Ismajli, Mayor of Spilje, President of the Association of Kosovo Municipalities and Second Vice-President of NALAS. "Fiscal equalization becomes even more urgent in our countries as we witness high concentration of capitals and investments in the capital cities where economies thrive and the local governments in less favourable, for various reasons, fiscal position struggle to provide for best possible quality local services". 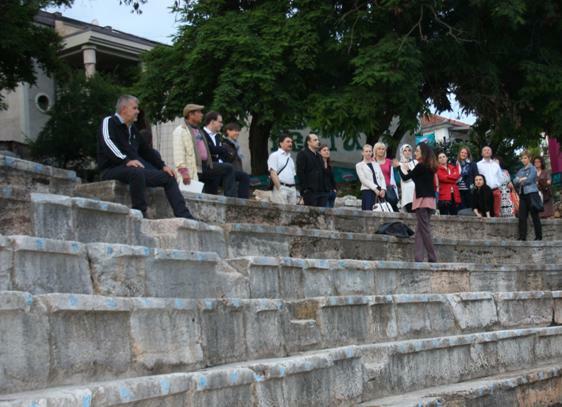 On behalf of the City of Ohrid, participants were welcomed by its Deputy Mayor, Mr. Angel Janev. "I wish you a warm welcome in the City of Ohrid, a magical place that combines city culture and natural heritage and beauties. 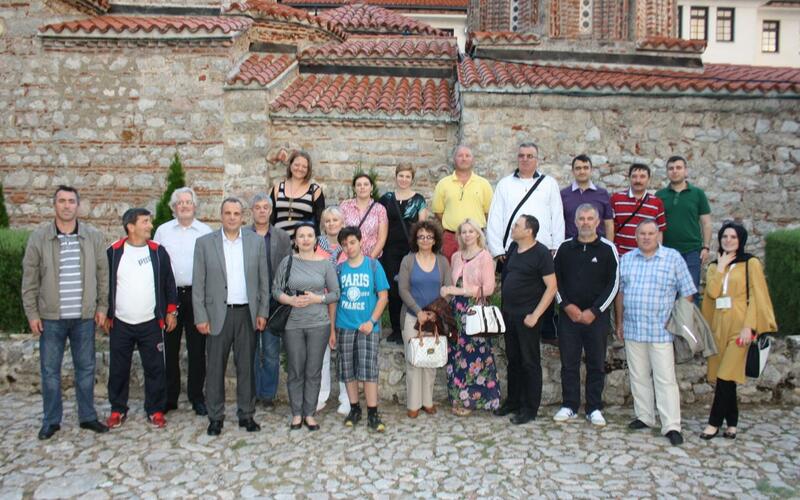 We are very happy that NALAS has chosen Ohrid to host its first Summer School. Having in its network over 9,000 local governments, NALAS provides many opportunities for networking and collaboration. 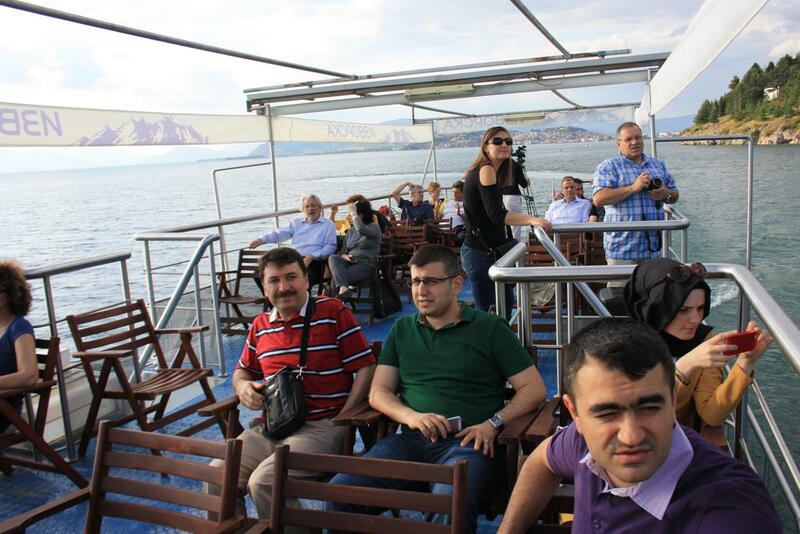 I invite all your associations and municipalities to consider Ohrid as a partner in your future development projects". "For many years it was not possible to speak about fiscal decentralization. 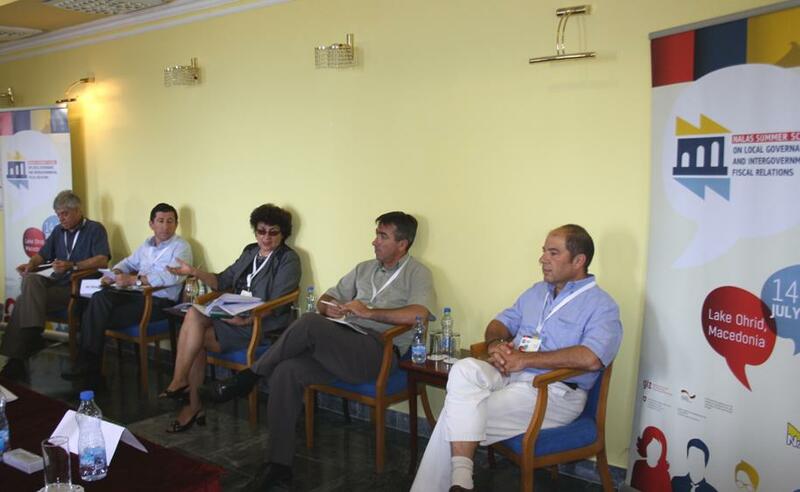 Now, thanks to the work of NALAS and our LGAs everybody speaks about it, but not much is being done", said Ms. Ginka Chavdarova, the Executive Director of the National Association of Municipalities in the Republic of Bulgaria, the Association that hosts NALAS Task Force in Fiscal Decentralization. "Today, we have to talk in practical terms. What we do and what we can do better to improve the state of fiscal decentralization in SEE". "As a Network, we take the advantage of the current trends in the region, and work to influence policies that benefit local governments", said Mr. Kelmend Zajazi, the Executive Director of NALAS. "One of the examples is the development of the SEE 2020 strategy for economic growth. 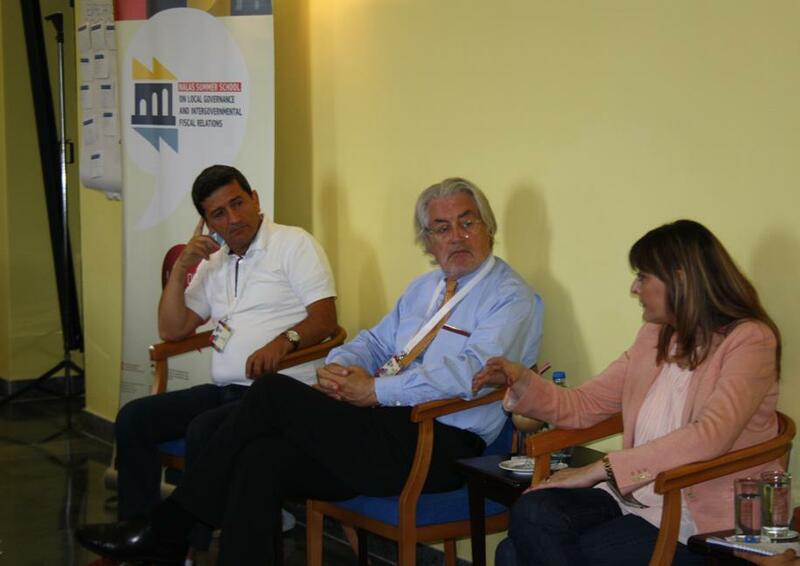 NALAS has advocated for the idea that with fiscal federalism the region can have economic growth. We succeeded to emphasize this issue in the strategy and the action plans for its implementation". In the session "What do we need to know to make the case? ", the members of the NALAS Fiscal Decentralization Task Force provided an overview of the fiscal equalization systems of South-East Europe and discussed the fiscal decentralization mechanisms. The session "Can formulas fix basic inequalities?" discussed the hopes and achievements of fiscal equalization at sub-national level. "In the discussions before, it has been said that dealing with the issue of fiscal equalization formulas might be a potential bomb for the Local Government Associations. I would disagree. This is something that LGAs have to do, it is part of their core mission", stressed Prof.Paul Bernhard Spahn, Professor Emeritus of Goethe University from Germany. "Without the exact financial data for all municipalities in the country you cannot have a good equalization formula. In Albania this is a difficult task", said Mr. Fatos Hodaj, Executive Director of the Association of Albanian Municipalities. "Macedonia does not have a real equalization formula", said Ms. Dusica Perisic, the Director of the Association of Local Self-Government Units of Macedonia. "VAT is seen as one of the ways for equalization, but not the only way. We also look into the fee for construction land, concessions for excavation of minerals, concession on water, use of agricultural land, forestry, etc.". "Romania has a simple, but effective equalization system", explained Mr.Radu Comsa, a member of NALAS Fiscal Decentralization Task Force. "The difference between poor communes and rich cities, measured in local taxes and PIT share was 8 times. Thanks to the equalization formula, it has been reduced to 2.2. By this, Romania is one of the success stories. However, in addition to this, additional money is given by discretion, which remains an issue". The session "When the policy goal is an internal challenge" explored the fiscal equalization as a policy and political challenge for municipal associations, as well as balancing the interests of various members. Mr. Sazan Ibrahimi, the Executive Director of the Association of Kosovo Municipalities explained the way they mobilize their membership when developing policy positions, through the 12 Collegia, that gather municipal directors. "The main challenge we had last year is the attempt of the Ministry of Finance to cut the general grants for municipalities for 2%. We brought together all municipalities, as well as our international partners and managed to stop it", said Mr. Ibrahimi. The last session of the first NALAS Summer School on Local Governance and Intergovernmental Fiscal Relations was entitled "Talking to Power". This session focused on how to translate evidence-based conclusions into political advice. Also, it explored the important points in the negotiations with the central level of government. Speakers and participants exchanged their experiences in how they make their cases and advocate for the rights of the local governments they represent. 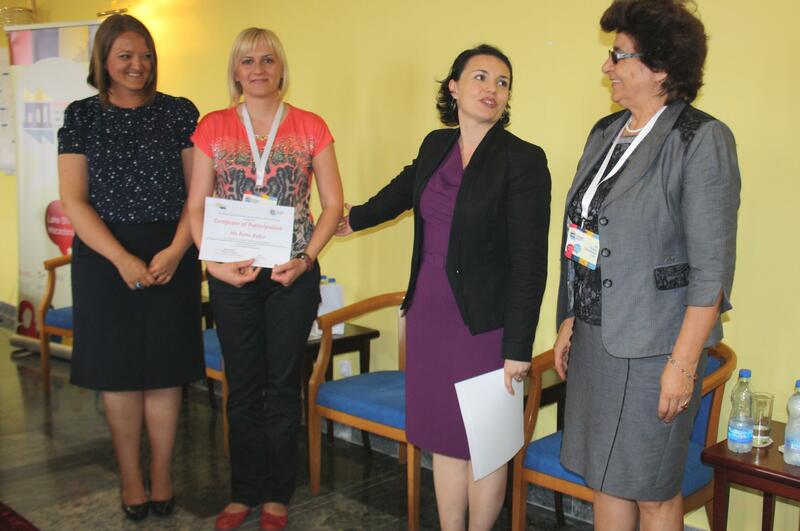 At the end of the Summer School, participants received certificates of participation. In their evaluations of the Summer School, participants expressed highest satisfaction. In their opinion, the Summer School was very useful, helping them advance their skills, but also exchange with colleagues on relevant fiscal decentralization issues. 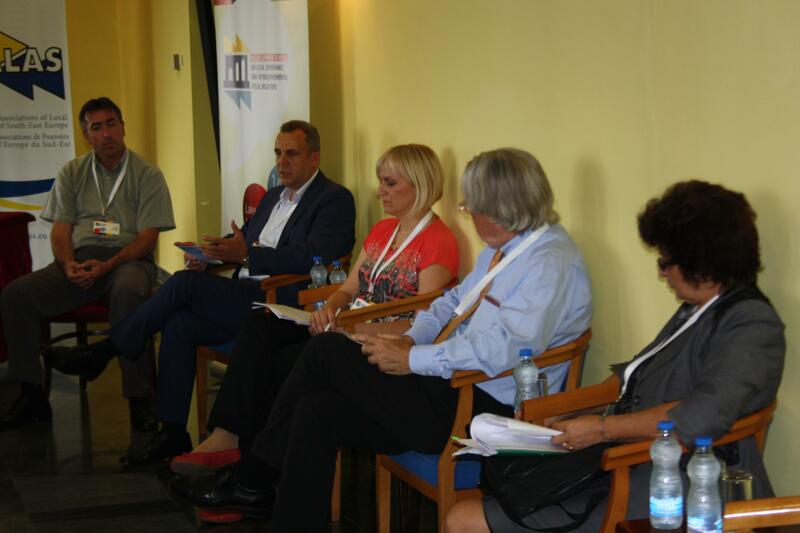 "I would like to thank NALAS for organizing this Summer School", said Ms. Zana Djukic, a member of the NALAS Fiscal Decentralization Task Force from the Union of Municipalities of Montenegro. "The data processing training was very useful, we gained a huge knowledge which for me is new and very useful for my future work. Also, the conference on fiscal decentralization and equalization provided an opportunity for comparing and learning from each other. 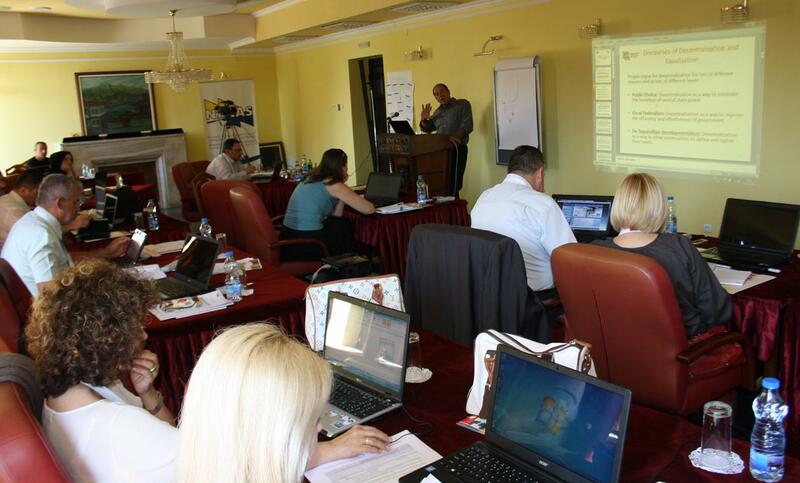 I am specially proud that Montenegrin data has been used in the practical exercises of the training". 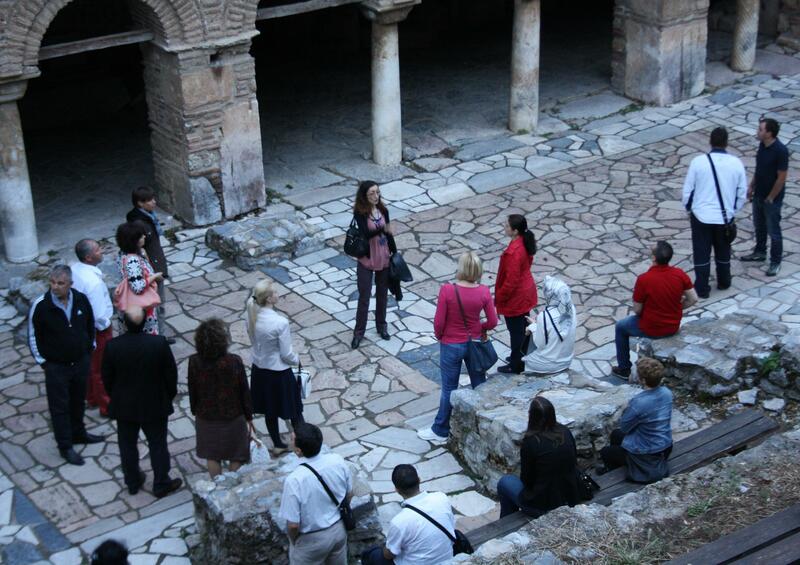 After the long and busy working days, evenings of the Summer School were used to enjoy the beauties of Ohrid and learn more about the history and the culture of one of the oldest human settlements in Europe, spread around one of the Europe's deepest and oldest lakes, with more than 200 endemic species. 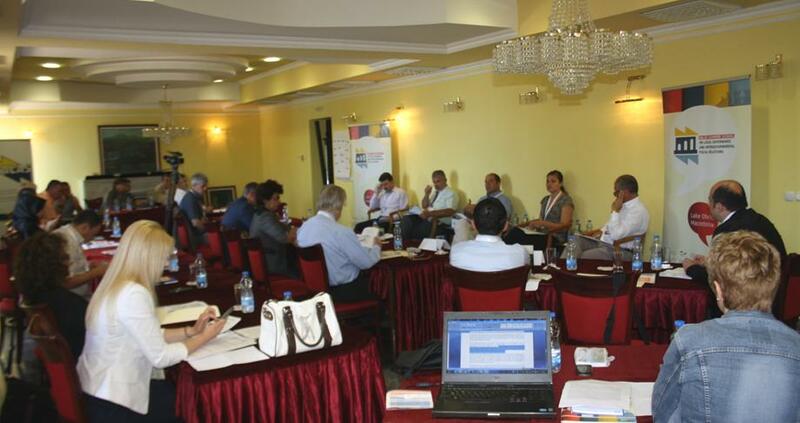 NALAS Summer School on Local Governance and Intergovernmental Fiscal Relations was supported by GIZ and SDC. To feel the atmosphere at the Summer School, please check the video, available HERE.